Join Us and Hit Your Professional, Personal, and Wellness Goals! Around this time of year, I have the bad habit of coming up with about 15 different resolutions - don't bite my nails, stop drinking soda, do 100 crunches a day, cook 5 meals at home each week, write for 30 minutes each day, learn to levitate, etc. - and attempting to start all of them at once. And around January 7th, I find myself mildly disappointed but not very surprised when I'm no longer committed to a single one. If that sounds like you, then join me and the PowerToFly team as we tackle 12 bite-size monthly challenges. No lofty goals, just realistic ones. The idea is to help us each hit our professional goals for the year by focussing on our personal ones. Challenges will cover everything from fitness to nutrition to breaking bad habits to being a better and more connected friend. Ultimately, we want to be more present, and to be kind to others and ourselves. Who Are These Challenges Designed For? 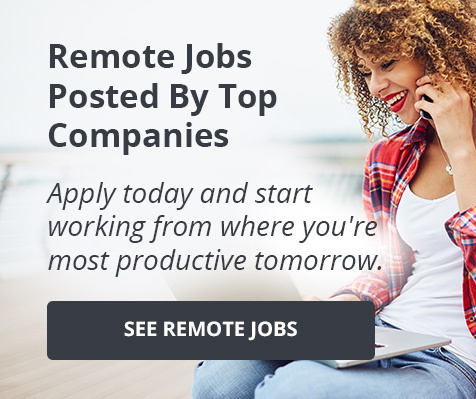 Remote Workers: At PowerToFly, we're a a remote startup spanning 12 countries… so we literally have people working around the clock, which makes it all too easy to burn out if you're not careful. If you don't have to physically leave the office, it's often hard to leave work behind you. That said, working from home (or wherever you choose) also offers enormous flexibility and benefits if you know how to take advantage of them, and that's what these challenges are all about! Using our workplace flexibility to be more connected as a team and community, not less. To break up our days with self-care so that we can be our most productive and happiest selves. Anyone with Limited Time: These small challenges are great for remote workers, but they can be done by anyone, anywhere, so if you're eager to fill 2019 with small victories, these challenges are for you! Whether you want to compete with your coworkers or participate by yourself, we can't wait to hear how you do. Just make sure you're signed up for our newsletter so you hear about the latest challenges as they're posted. Follow us on Facebook, Twitter, or LinkedIn so you can tweet, comment, message, or email your experiences. We'll be tracking progress our progress internally with a dedicated Slack channel and recommend you do the same if you want to do these challenges with your coworkers. We'll be sharing our results publicly in follow-up blog posts at the end of each challenge and tweeting along the way. Why Are These Challenges More Practical Than "Typical" Resolutions? One improvement at a time - We'll announce each challenge a few days before the start of the next month. This is meant to avoid being overwhelmed by a whole slew of resolutions, and instead allow each of us to focus month-to-month on the challenges that we find most meaningful. Manageable Goals - We're not including any time-heavy activities, which are ripe for making excuses. Each active challenge (i.e. a challenge that asks you to do something, as opposed to reduce a behavior) will require less than 10 minutes a day. That said, no one will stop you from doing more… As someone who studied psychology in college, I admit my understanding of physics is limited, but I'm a firm believer in the idea that Newton's first law of motion also applies to human behavior: the hardest part is getting started (and the more daunting the task, the less likely we are to begin), but once you're going, you won't want to stop. By making our monthly goals more manageable, it will be easier not only to get started, but to keep going. Meaningful Goals - They may be small, but each challenge will be a worthwhile way to intentionally improve an aspect of our daily life, be it connected to physical or mental well-being. Measurable Goals- We'll be clearly defining each goal and/or asking you to define the goal for yourself - i.e., we won't aim to "reduce cellphone use," we'll aim to, "use our phones no more than 90 minutes per day." Accountability - We'll be sharing our results with you in a follow-up blog post and we encourage you to do the same! Tweet @powertofly or shoot us an email with your progress and experiences. Be proud of yourself - this is just the beginning! Rachel is talking to PowerToFly members at 3pm ET Today, Monday November 11th at 3pm ET. Sign up now for free! Rachel Cohen, a Software Engineer at Dow Jones, spent the first decade of her career in journalism and recently landed the career of her dreams after attending a PowerToFly event! If you're currently pivoting your career, in the trenches of a coding bootcamp, amidst your first technical interview, or have been rejected once or twice, don't be discouraged! "The letdowns and rejections are experiences that will make you better in every aspect," Rachel says. Keep reading to hear more about Rachel's journey and if you're interested in learning more about careers at Dow Jones? Click here to 'Follow' them on PowerToFly!